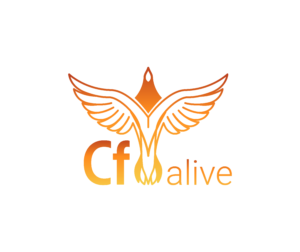 The CF Alive Inner Circle is for ColdFusion developers and managers who want to be part of making CFML more alive, modern and secure this year. Don’t listen to what some people say. I’m here to show you that ColdFusion is a vibrant and modern language for complex, data-driven enterprise apps. While some companies have abandoned ColdFusion as dying, more visionary dev teams have embraced CF. Learn how they are making it the most modern, secure and state-of-the-art web development ecosystem. Bar none. Together we can make CF more modern, vibrant and secure this year! In all reality, TeraTech has never had any problem finding CF developers and projects. For others, it was a different story. We sent out our annual survey, “The State of the CF Union”, and the answers we received were shocking. The biggest concern we received was that CF was dead/dying/legacy. That’s what got me motivated. I wanted to help rebuild the state of ColdFusion and the community’s perception of it. So, the CF Alive revolution was born. The top concern, which was given by 72% of the participants, say that is is because CF is seen as dying/legacy. With the CF Alive Inner Circle you can help in changing this false perception. Becoming a leader that helps grow this venture far beyond ourselves.